Wallace, Birgitta. "L’Anse aux Meadows". The Canadian Encyclopedia, 02 March 2018, Historica Canada. https://www.thecanadianencyclopedia.ca/en/article/lanse-aux-meadows. Accessed 24 April 2019. Reconstructed viking settlement at L'Anse aux Meadows National Historic Site, Newfoundland. 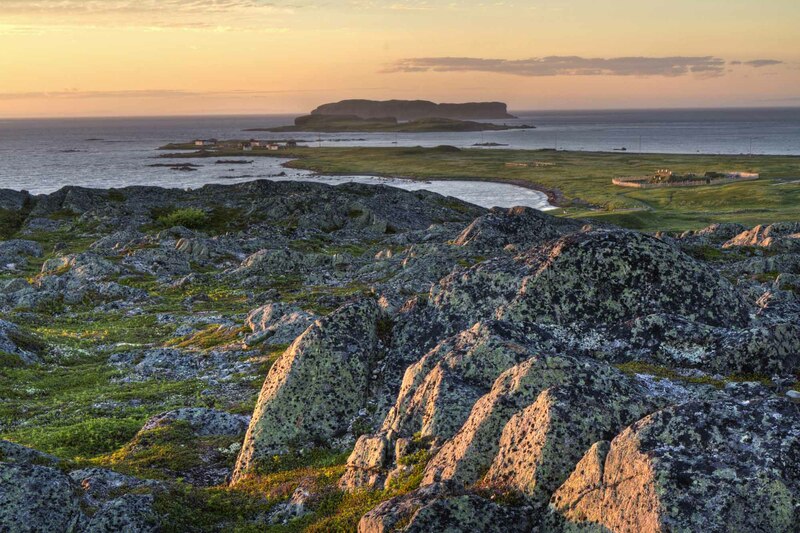 L’Anse aux Meadows sits at the tip of Newfoundland’s Great Northern Peninsula, next to the shallow waters of Islands Bay (formerly Epaves Bay), 26 km north of the town of St. Anthony as the crow flies. Its original name was L’Anse à la Médée (Medea’s Cove), probably named after a ship belonging to the French fishing station located there from the 1700s until 1904. The site is on an open plain, but stands of balsam fir, larch, birch, and poplar grew on and around it when the Norse arrived and up until the early 20th century. To the south, it is bordered by a high, rocky ridge extending into the sea. L’Anse aux Meadows faces the Strait of Belle Isle and the coast of Labrador, 46 km away. The site was occupied intermittently by five Indigenous groups before the Norse and one after them. Radiocarbon date ranges for these groups at L’Anse aux Meadows are: c. 4000–1000 BCE for the Maritime Archaic tradition, c. 1000–500 BCE for the Groswater tradition, c. 400­–750 CE for the Middle Dorset, c. 800–850 CE for the Cow Head and Beaches traditions, and c. 1200–1500 CE for the Little Passage tradition. These names have been assigned by archeologists, since who these people were and whether they have direct descendants among present-day Indigenous peoples is unclear. The Cow Head tradition seems to have had ties to people farther west, possibly on Québec’s Lower North Shore. 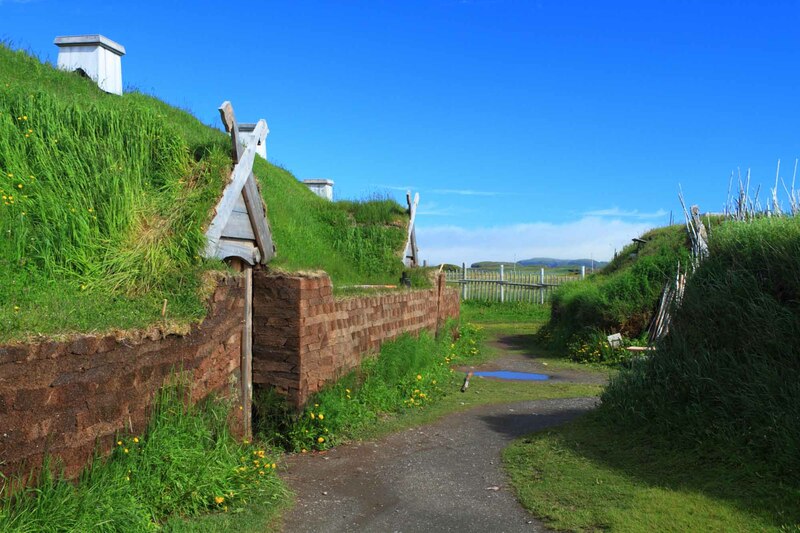 It appears that no groups were at L’Anse aux Meadows during the time of the Norse, but hearths and tent rings would have been visible to the settlers, and members of the Cow Head tradition existed in the larger vicinity. The first to suggest that the site was a former Norse settlement was a Newfoundlander, William Munn, publisher of a major St. John’s newspaper, The Evening Telegram, in a series of articles in 1914. The articles were later compiled into a small book, The Wineland Voyages: The location of Helluland, Markland and Vinland from the Icelandic sagas. Finnish geologist Väinö Tanner developed a similar theory in 1939. Inspired by both, Danish archeologist Jørgen Meldgaard visited the general area in 1956. Meldgaard conducted a few test excavations but mostly limited his work to foot surveys and local inquiries. He planned to return but was delayed by other projects. His search for grass-covered mounds had nevertheless sparked interest among residents of local communities, from Cook’s Harbour to Griquet. 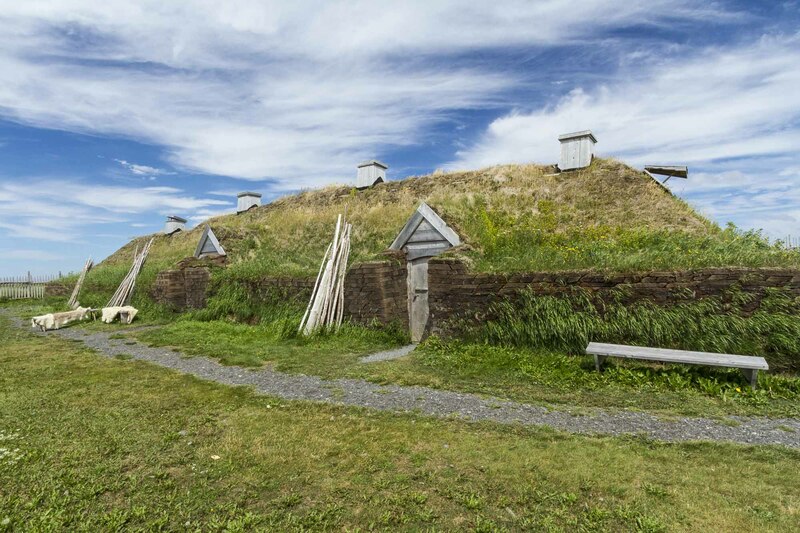 Reconstructions of ancient homes of Viking settlers in L'Anse aux Meadows National Historic Site in Newfoundland. When Norwegian explorer Helge Ingstad and his daughter Benedicte appeared in 1960, locals led them to the grass-covered mounds. Helge’s wife, archeologist Anne Stine Ingstad, led the first excavations from 1961 to 1968 and ultimately proved that the site was Norse and dated to the 11th century. Questions on the length and nature of Norse occupation and the relationship of these settlers to the Indigenous people who had also left their mark on the site remained unanswered. Therefore, when the site was commemorated as a National Historic Site of Canada in 1968 under the management of Parks Canada, an international advisory committee recommended further excavations (see also Historic Sites). Several archeologists have conducted excavations at the site, including Bengt Schönbäck (1973–75) and Birgitta Wallace (1976 and 2002). 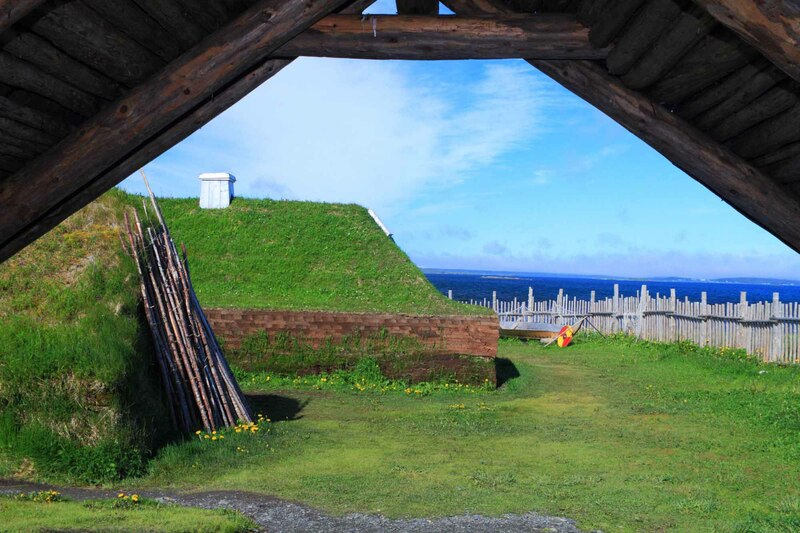 Their findings, complemented by a series of natural-sciences investigations, contributed to L’Anse aux Meadows being named the first UNESCO World Heritage Site in 1978. Further excavations by archeologists Jenneth Curtis and Todd Kristensen (2007–09) explored the Indigenous settlements on the site and in the surrounding area. 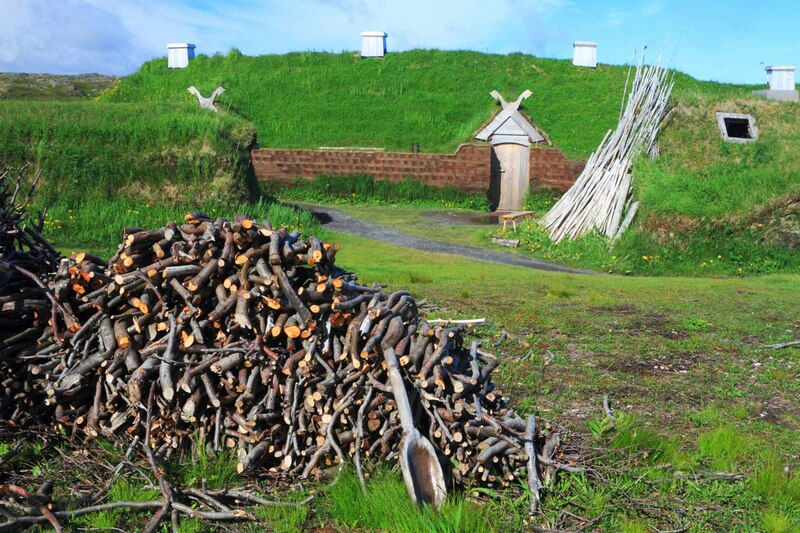 L'Anse Aux Meadows National Historic Site, Newfoundland. Reproduction of a Viking long hall in L'Anse Aux Meadows National Historic Site, Newfoundland. 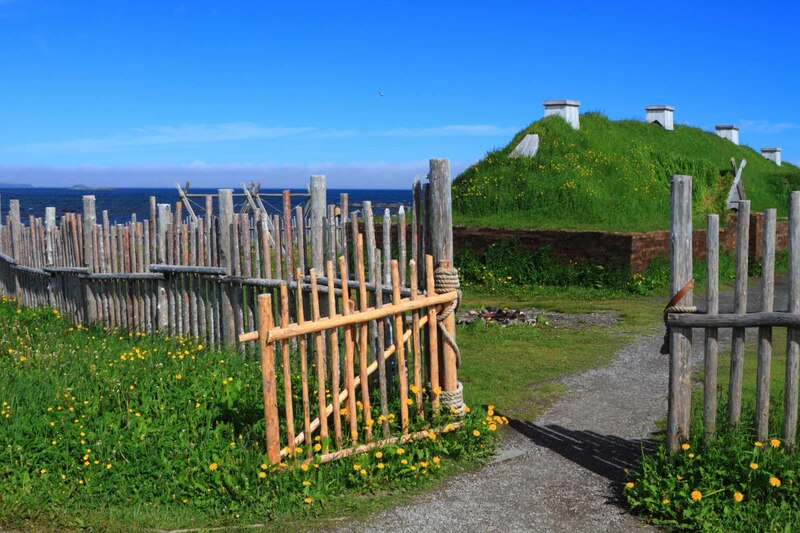 Reconstructions of ancient homes of Viking settlers at L'Anse aux Meadows National Historic Site in Newfoundland. 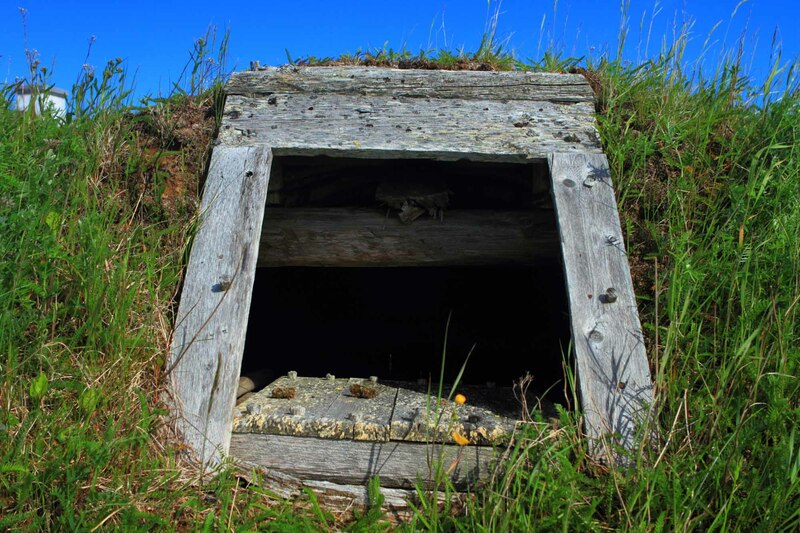 Entrance to a Norse sod house at L'Anse aux Meadows in Newfoundland. 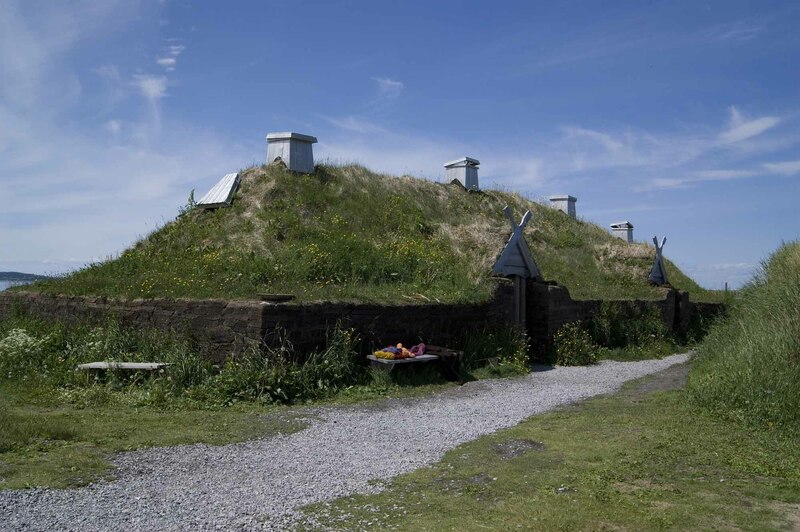 There were eight buildings on the L’Anse aux Meadows site, marked by remnants of low sod walls. These buildings were organized into four complexes, two of which consisted of a large hall flanked by a small hut. A third consisted of a large hall, a hut, and a small house. The halls were constructed in a distinctly Icelandic style of the late 10th and early 11th centuries. All were built of sod over a frame of wood (see Sod Houses). Of the smaller huts, two were pit houses dug into the ground. In Scandinavia, this type of hut went out of style in the latter part of the 11th century. A third hut was a round dwelling typical of quarters for low-status people, such as slaves, in Scandinavia. The dwelling complexes were about 100 m from the shore, lined up on a narrow terrace encircling a bog. A small brook still cuts through the terrace. The fourth complex, an iron-smelting hut, was built into the brook bank, closer to the shore. This open-ended hut sheltered a small stone-and-clay furnace where iron was smelted from small deposits of ore found in bogs. Nearby was a pit for making charcoal to be used as fuel in the furnace. 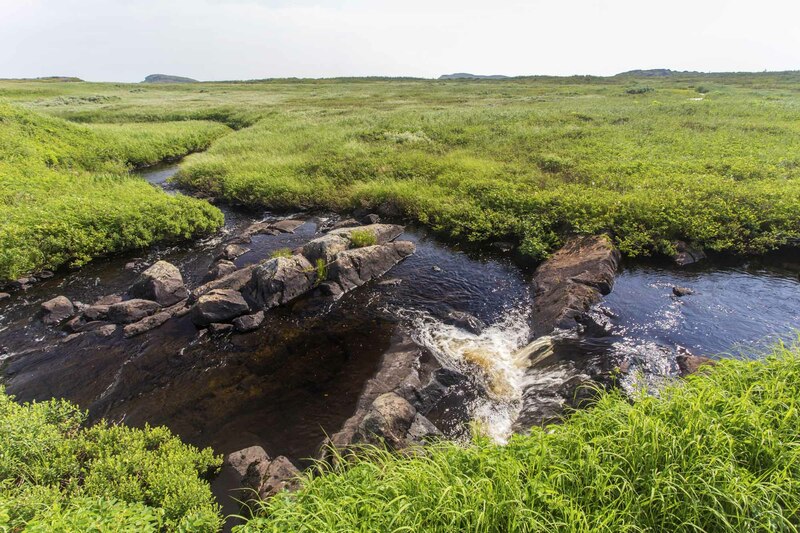 Flowing stream through green meadow, L'Anse aux Meadows, Newfoundland. The artifacts associated with the Norse occupation are almost exclusively wood debris, including hundreds of wood chips and about 50 discarded wood objects. There is also smelting slag (waste matter) from the iron manufacture, slag from smithing, a floor plank from a boat, and discarded nails from boat repair. Eleven worn-out fire strikers of red jasper, stones used with an iron “fire steel” to create a spark, have been found inside and outside all the halls. Each activity represented by these artifacts was associated with a particular building complex, one activity complementing another and showing that all complexes were occupied at the same time. 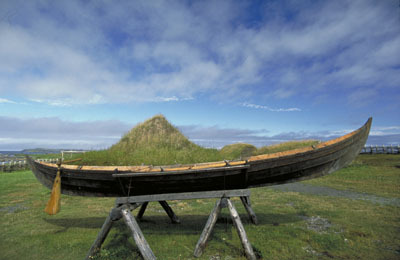 Replica of a four-oared Norse dinghy at L'Anse aux Meadows, Newfoundland. The only other artifacts discovered are small personal objects lost by their owners. The artifact that proved most useful in dating the site was a ringed pin, of a style dated to the 10th and early 11th centuries, used to fasten a man’s cloak. Also found were a small spindle whorl and a whetstone for sharpening needles and scissors, domestic textile work tools that suggest the presence of women on the site. Similarly, a broken bone pin found in the fireplace in the middle hall could have been either a hair or clothing pin or, possibly, a needle used for nålebinding, a form of knitting for socks, hats and mittens. Small fragments of a gilded ring (possibly used as jewellery or to hang a tool from a belt) and a glass bead indicate that the Norse inventory at L’Anse aux Meadows was more than bare essentials. Artifacts, architecture and 50 radiocarbon dates from the Norse contexts date the Norse part of the site to approximately 1000 CE. The cultural deposits, the size of the middens (heaps of domestic waste) and lack of rebuilding indicate that the occupation was short — only about a decade. The activities represented by the artifacts show that life on the site was not normal family life. Although some women were present, most of the occupants were men, as only men carried on carpentry, boat repair, iron smelting, and smithing. Replica boat and Viking shield at L'Anse aux Meadows National Historic Site in Newfoundland. The total number of sleeping places available indicates that the buildings could house between 70 and 90 people. The diversity of the buildings suggests social complexity. The two largest halls are substantial, the kind used only by chieftains and their entourage. Even the smallest of them is double the size of what is believed to be Erik the Red’s home in Iceland. The largest hall is also the most sophisticated, which indicates that it was the quarters for the leader of the expedition. The smallest hall had fewer rooms than the other two and was likely built for a middle-class independent individual (e.g., a successful farmer) and his crew. The small house is the type of dwelling inhabited by a subservient person; the smallest hut would have been for those lowest on the social ladder, possibly slaves. The sunken huts were for workers — one of them perhaps for weaving, as stones possibly used as loom weights were found here. Analysis of the jasper fire strikers provides information on the nationality of the inhabitants. The strikers associated with two of the halls are of Icelandic jasper, and four out of five from the largest hall are jasper from Greenland, suggesting that the leader of the expedition came from there. Two of the fire strikers are of jasper from Notre Dame Bay on the northern coast of Newfoundland, proving that visits had taken place to that area. 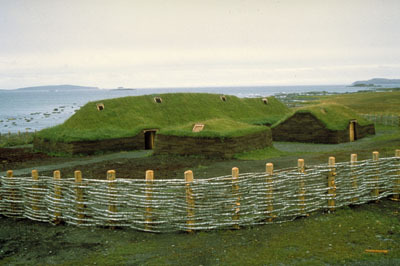 L’Anse aux Meadows was not a colonizing site but a base for exploration and exploitation of resources desirable in Greenland: lumber, furs, and luxury food such as walnuts and grapes. The Norse were interested in the Strait of Belle Isle — noted for its strong, multidirectional currents — as a navigation route. Barns and other livestock structures normal on settlement sites are missing, and there is no evidence of grazing. The location is exposed, further hinting that the Norse did not intend the site to be a normal farmstead. Indeed, far more sheltered and pleasant coves are plentiful nearby on the eastern coast of the Northern Peninsula. Among the artifacts found in the bog were three butternuts and butternut wood. Because these trees’ northern limit is eastern New Brunswick, the Norse at L’Anse aux Meadows must have explored the Gulf of St. Lawrence. There are also wood chips from linden, Thilia americana, another species exclusive to this area. 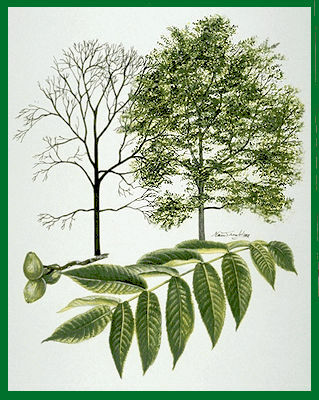 Other more southern species such as elm, beech and eastern hemlock were identified. Butternuts grow in the same areas as wild grapes and ripen about the same time in late summer. Whoever picked the butternuts is almost certain to have encountered grapes. 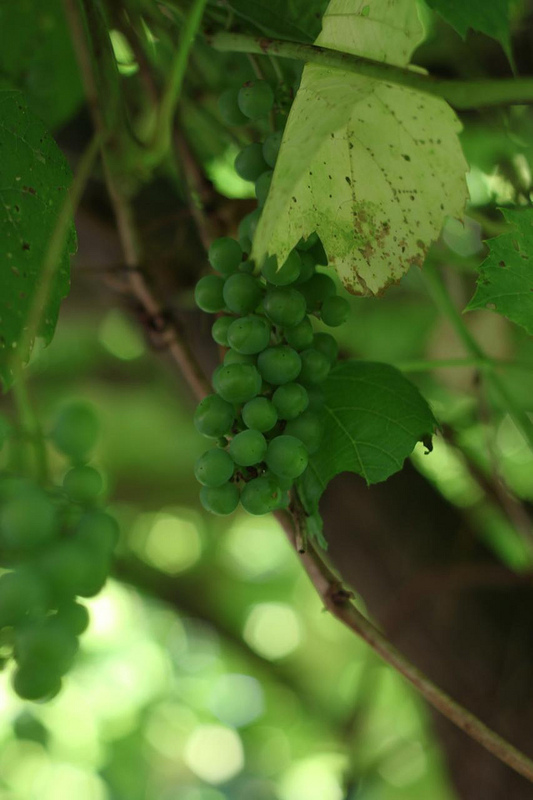 This discovery was so noteworthy to the Norse that they named the entire area after grapes: Vinland (Land of Wine). The conclusion drawn from the activities on the site, the type of buildings and inhabitants, is that the site was a base for explorations in various directions and for storage of resources to be transported back to Greenland. The Vinland sagas contain several vivid scenes of encounters with Indigenous peoples who would have been ancestors of the Mi’kmaq, the Beothuk and the Innu. 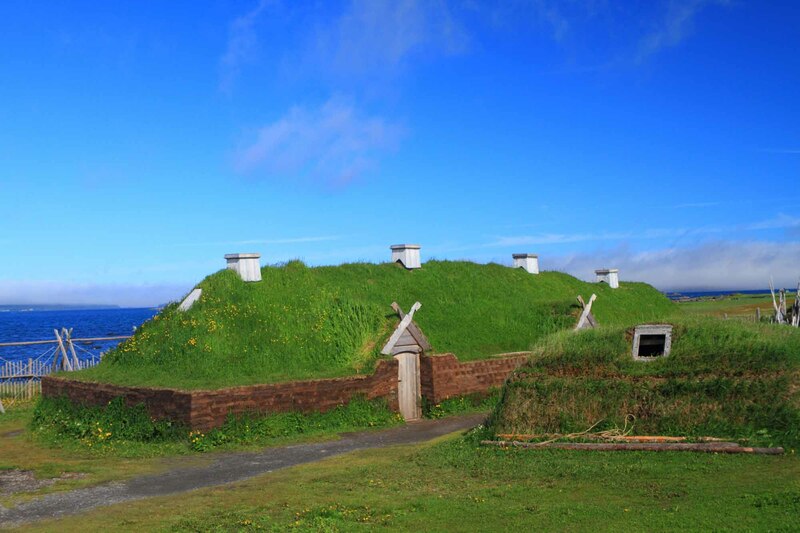 However, these meetings have no clear connection to the L’Anse aux Meadows settlement, in part because the stories have been conflated and woven into each other, and because most of the saga encounters took place during excursions to and from the base camp. Traditional territories of the Inuit, Innu (Montagnais-Naskapi), Wolastoqiyik (Maliseet), Mi'kmaq and Beothuk. Even though the buildings and artifacts are typical of Iceland and Greenland around the year 1000 CE, the location, activities and layout of the settlement have no parallel in the West Norse world. 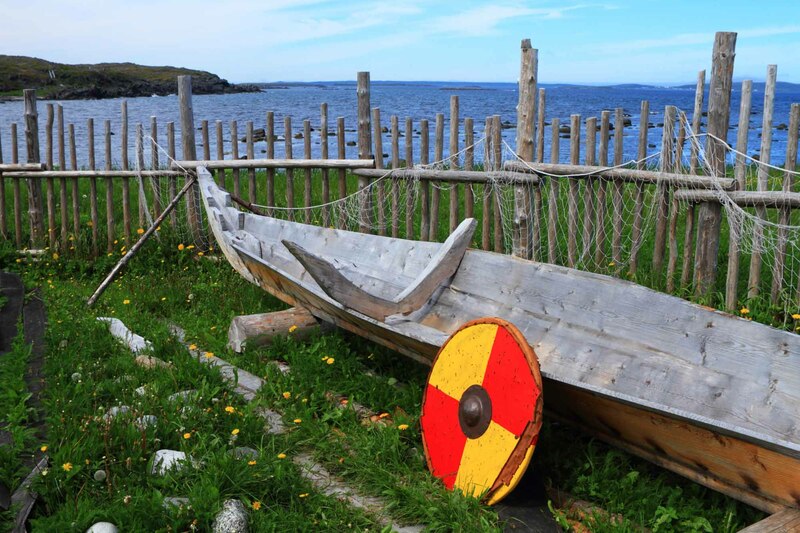 In historical records, only one site corresponds in all respects to L’Anse aux Meadows: Straumfjord (Current Fjord), the chief site of Erik the Red’s Saga. This saga describes Straumfjord as a base for explorations in various directions and exploitation of resources, chiefly grapes and lumber, from a southerly summer camp called Hóp, which was likely in present-day eastern New Brunswick. Given the size of L’Anse aux Meadows and the number of inhabitants, there is a strong argument to be made that it was Straumfjord. From the amount of sod and lumber required for its construction, researchers calculate that it would have taken 60 men two months to build, 90 men a month and a half. In the early 11th century, the entire Greenland colony comprised only about 400 people. The occupants of L’Anse aux Meadows thus formed a larger workforce than Greenland could spare for any other such enterprise. A Parks Canada visitor centre containing exhibits of the site and its artifacts was built in the 1980s. Reconstructions of three of the dwellings were erected at some distance from the original building remains; in 2011, a reconstruction of the iron furnace hut was added. Guides are available for tours of the site, and the replica buildings are staffed with Viking reenactors. The site is open to the public from early June to mid-October. It has become a popular tourist destination, receiving approximately 30,000 visitors per year. A privately owned attraction called Norstead — an imagined “Viking” village — has been built nearby. Sunset seen from a rocky hill overlooking the Viking settlement at L'Anse Aux Meadows National Historic Site in Northern Newfoundland. 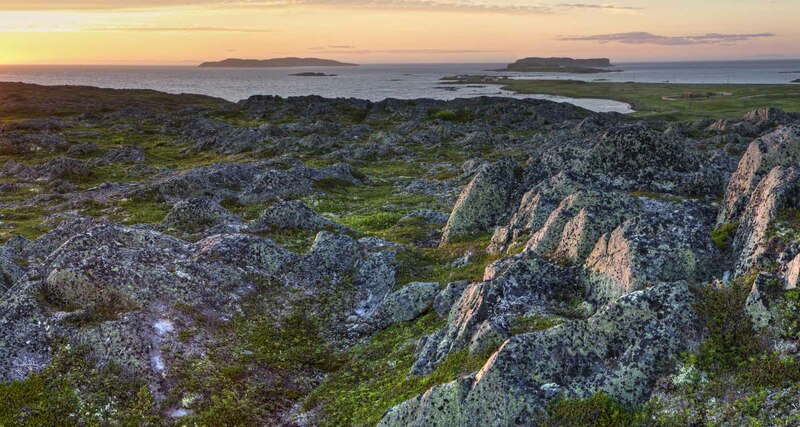 Panoramic sunset seen from a rocky hill overlooking the Viking settlement at L'Anse Aux Meadows National Historic Site in Northern Newfoundland. Birgitta Linderoth Wallace, Westward Vikings: The L’Anse aux Meadows Saga, revised edition (2012). Shannon Lewis Simpson, ed., Vinland Revisited: The Norse World at the Turn of the First Millennium, Selected Papers from the Viking Millennium International Symposium, 15­–24 September 2000 (2003): 331–37. William W. Fitzhugh and Elisabeth I. Ward, eds., Vikings: The North Atlantic Saga (2000). Anne Stine Ingstad and Helge Ingstad, The Norse Discovery of America: Excavations at L’Anse aux Meadows, Newfoundland 1961–1968 [vol 1] and The Norse Discovery of America: The Historical Background and the Evidence of the Norse Settlement Discovered in Newfoundland [vol. 2], (1986). The Norse in the North AtlanticLearn about early Viking voyages to North America on this website from Memorial University of Newfoundland. Great Unsolved Mysteries in Canadian HistoryWhere is Vinland?